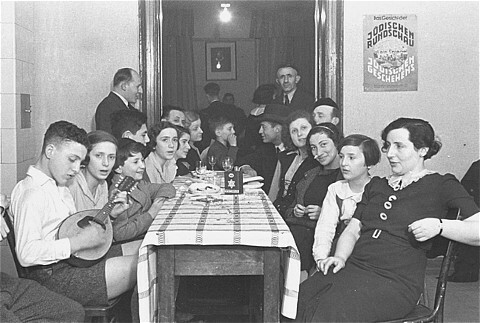 Members of the Chug Ivri (Hebrew Club) in Berlin celebrate Purim with food and song. On the wall is an advertisement for Juedische Rundschau, the newspaper of the German Zionist movement. Berlin, Germany, 1935.